Miss San Pedro High School (SPHS) 2016-2017, Faith Noel, embarked on a series of projects aimed at benefiting her school, as well as the community. One of her goals was to donate quality backpacks to fellow students who couldn’t afford it, and it was accomplished on Friday, July 1st. 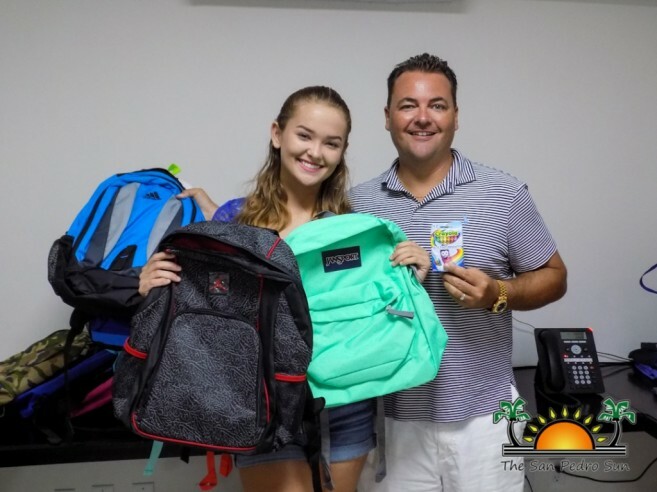 Noel, along with her mother Tammy Lemus and Sandy Point Real Estate Sponsor Daniel Hartin, sorted out a total of 89 backpacks. In addition to the backpacks donated to SPHS, Noel reserved 19 for the June 26th fire victims. 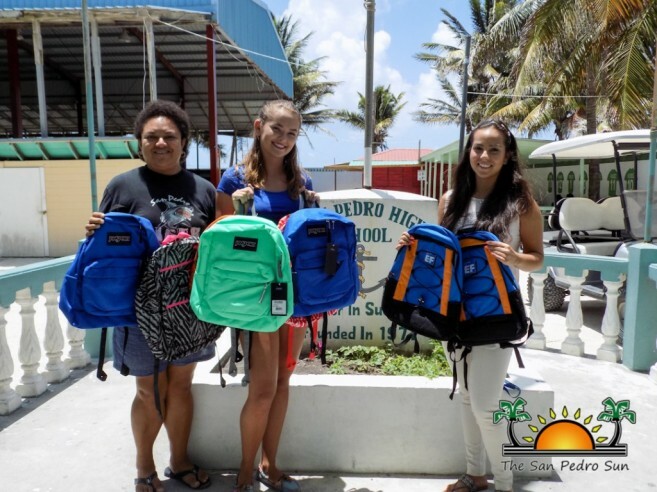 The backpacks were handed over to Vice-Principal Conchita Flota and Counselor Alexis Guerrero, who both expressed their gratitude to Noel for being the first beauty ambassador to start such an initiative at the high school. According to Guerrero, students who are on financial aid or a scholarship will qualify for a backpack. Students will remain anonymous, and Guerrero stated that so far she has 66 students who will be receiving a backpack. Incoming freshmen were also given a questionnaire so the faculty could determine if they are in need of financial assistance. Noel’s backpack donation could not have been possible without the help of the following sponsors: Sandy Point Real Estate, Daniel Hartin, Neftali and Tammy Lemus, Blue Water Grill (Kelly & Makul Kanabar), Kait and Brandon, Ann Thompson, Lori Parish, Jackie Newman, Terry and Michelle, Patty, Ramon and Jacquez, Ralph, and Julie and Riley. Noel’s other dream project involves building five palapas at her school. Since the school currently has only two lunch palapas, many students either have to eat their lunch on the bleachers of the Angel Nuñez Auditorium or in their classroom. Noel wants to comfortably accommodate all students during lunch time, and provide seating space for them. The construction of each lunch palapa is estimated to cost $900, and so far Sandy Point Real Estate has donated one new palapa.